Hey all. 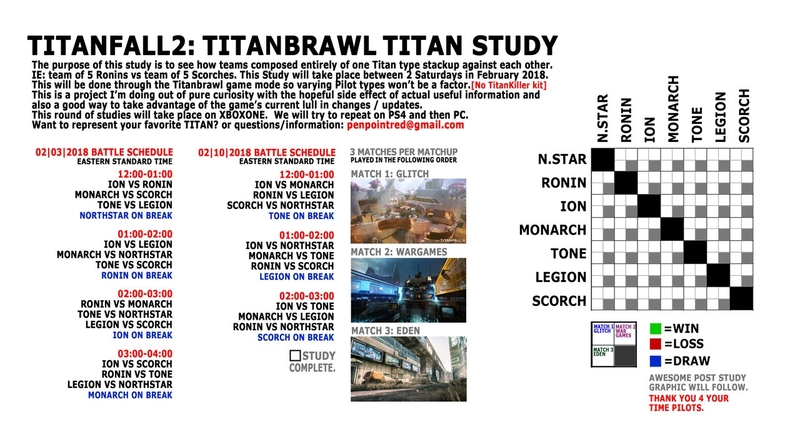 I'm putting together a series of TITANBRAWL matches Feb 3rd and the 10th. Still have a few slots open. Above is all the details but hit me up if you're interested or have any questions. cheers and betalkin. pen. hey yall! 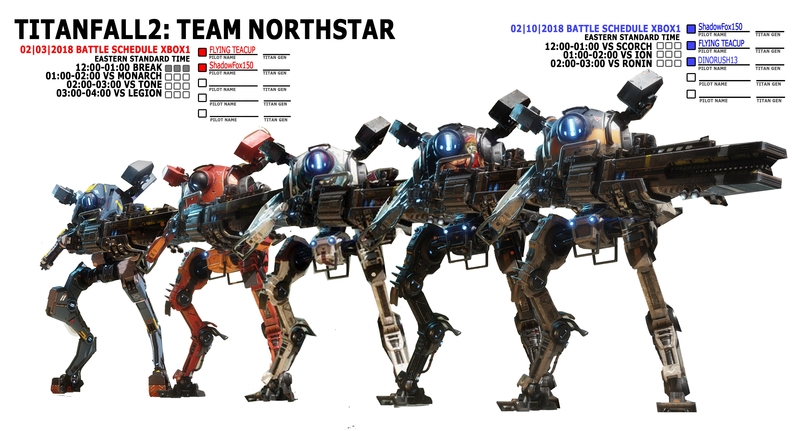 I'm filling out the NORTHSTAR team for the Titanfall 2 Titanbrawl study I'm putting together. There are 3 slots avail Feb3rd and 2 spots open for the 10th. hey yall! 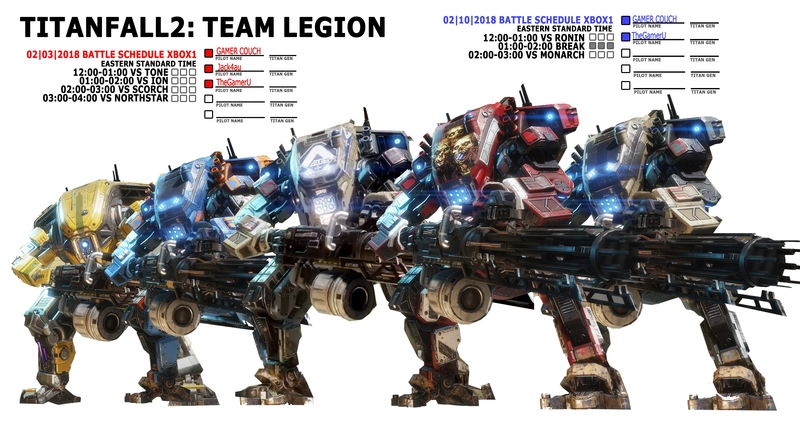 I'm filling out the LEGION team for the Titanfall 2 Titanbrawl study I'm putting together. There are 2 slots avail Feb3rd and 3 spots open for the 10th.